Opera, the developer of the most popular mobile browser in Africa, today announced its plan to invest $100 million USD (30 billion Nigerian nairas) over the next two years to facilitate the growth of African digital economy. The company will use the investment to speed up internet adoption in Africa and strengthen the internet ecosystem with local partners. Africa is on its way to transform itself into digital continent with the rapid adoption of mobile internet. For the past five years, the Opera Mini browser has been a key facilitator in bringing more than half of Africa’s internet population online by featuring tools for lowering data costs. Recently, the company celebrated 100 million monthly users in Africa and is now focusing on making the next generation of web browsers to cater the needs of African internet users. According to a GSMA Intelligence report, the biggest consumer barriers to internet adoption in most African countries are the lack of digital skills and awareness, locally relevant content and affordability. To bring more first-time internet users without the fear of high data costs or lack of local relevant content, Opera invests in developing a state-of-the-art artificial intelligence engine for smartphone users that will ensure content discovery is at the heart of the browser. 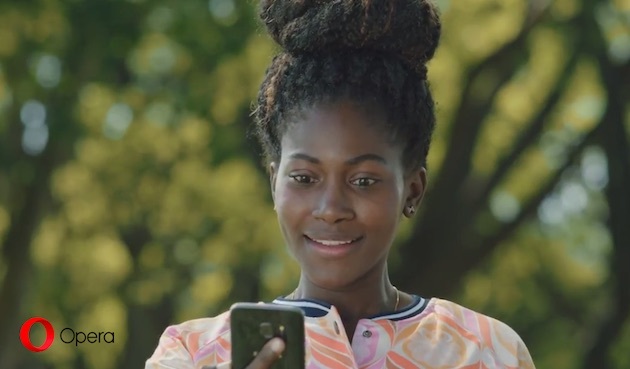 Opera users in Africa will get fully personalised and localised content delivered to their browser, the entry point for their internet experience while the data usage can be reduced up to 90%. On the other hand, Opera is now working with over 47 top tier African publishers covering 107 web sites on this initiative. Bringing fast and affordable internet access for all has always been Opera’s mission. To grow together with the African internet ecosystem, Opera is planning to seek local partners to integrate value-added services, mobile payment and data bundling into its browser product. This will grant consumers access to quality content and services, giving them the ability to transact more easily on their mobile devices. The range of services to be added over the next 12 months will create a content and services hub that will provide African users with a truly unique experience. The company has also recently launched its first nationwide TV and radio commercials to announce a faster and more affordable internet experience with the Opera Mini browser. The commercials are airing in South Africa and Kenya, and will be launching in Nigeria shortly. Currently, Opera has operations in Cape Town and Johannesburg, South Africa and is expanding with new offices in Lagos, Nigeria and Nairobi, Kenya to support business and product development. The plan is to hire around 100 people for these offices over the next three years.